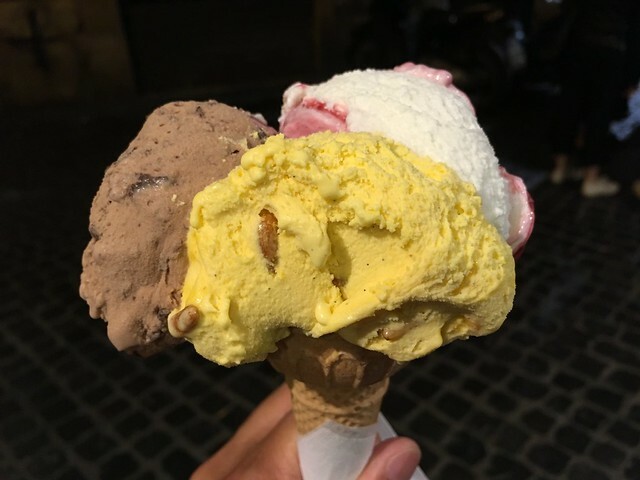 If only I had the time to try all the flavors at Frigidarium. I would needs as many stomachs as an earthworm, lol! This place is SO good! 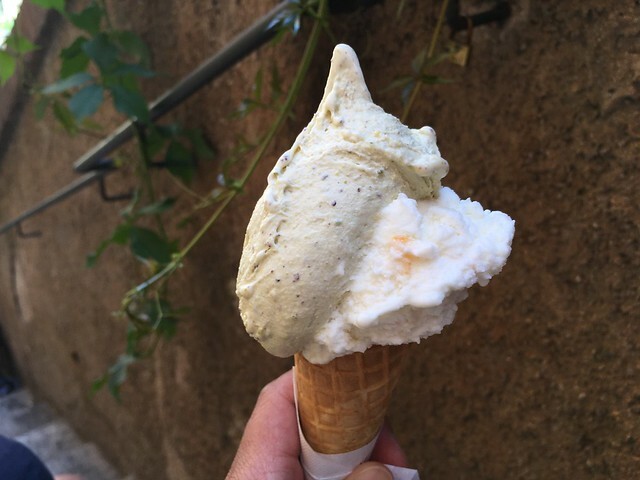 Silician pistachio & lavendar and white peach gelato. Yum, this gelato was really good! 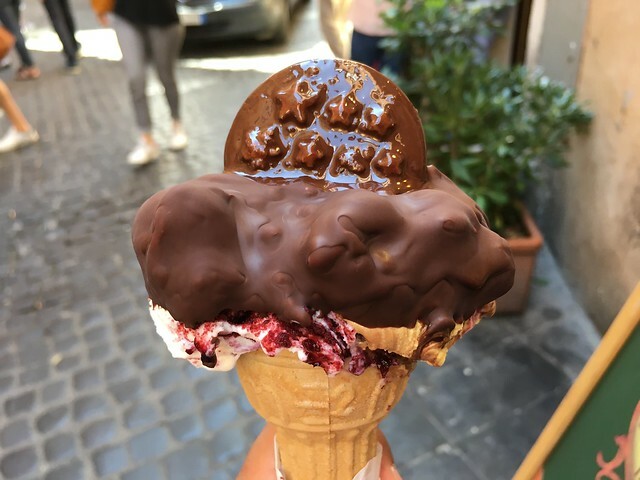 I wish I could walk around Rome just trying out all the little gelato shops and all their different flavors. I would become quite obese, but at least I’d be happy! 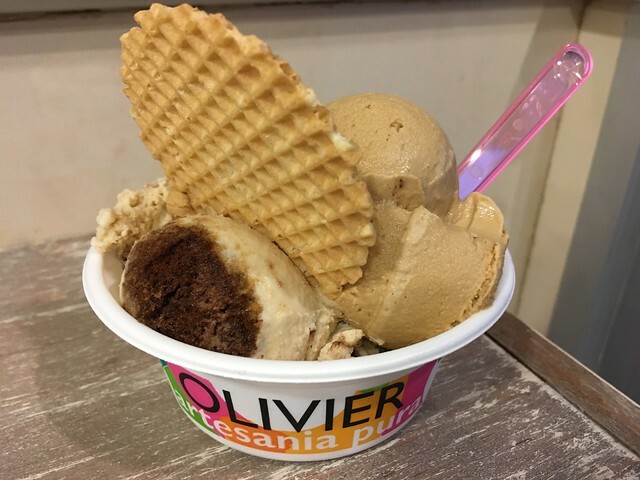 Omg, I am in love with this gelateria! 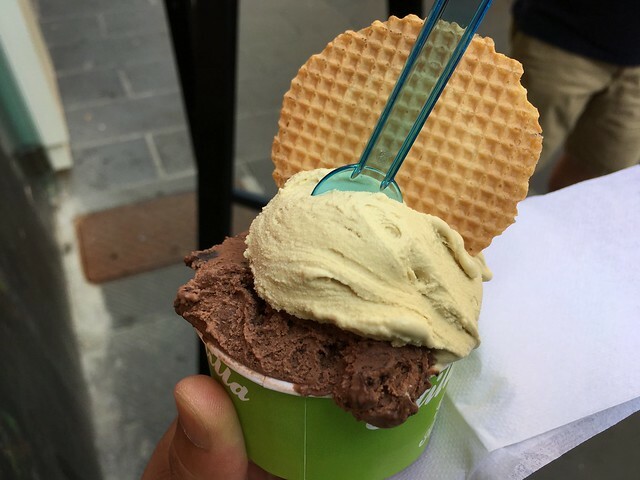 The gelato is SO delicious and I love that you can get it dipped with a cookie on top! SO good!!! This gelato tasted good, but it certainly was the smallest cup I’d ever seen. I especially liked the amarena flavor though. Mmm, this was delicious! 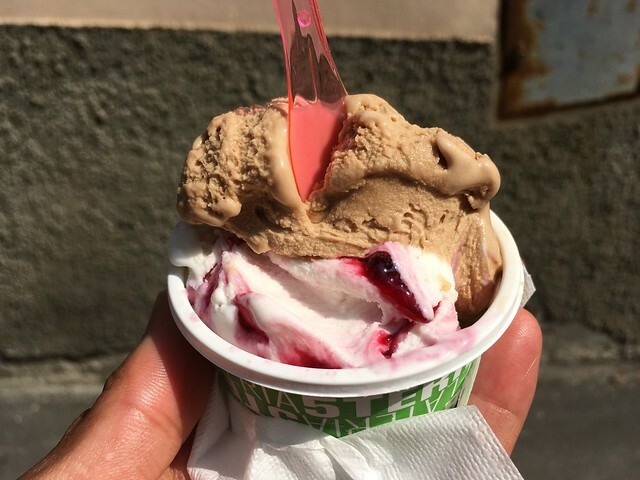 I love the intense flavor of this gelato, and it had a great dense texture. SO good! This was really tasty! 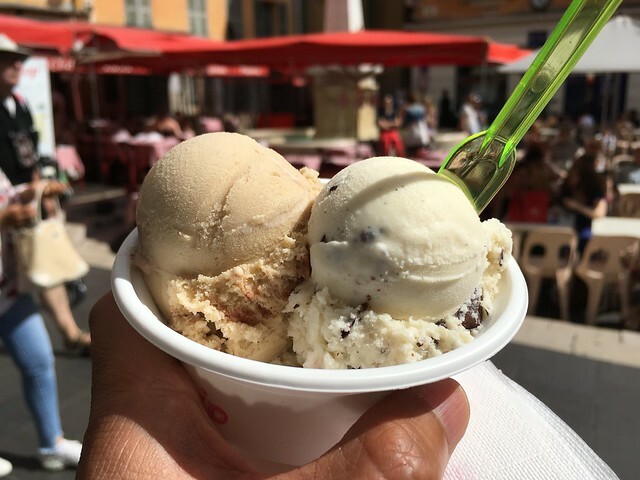 I loved the light texture of the ice cream, and the flavors were still bold and distinct. Noms! Mmm, this gelato was nice and creamy, and the flavors were rich and bold. Noms! I couldn’t decide which flavors to get, so I opted for two of my favorites.